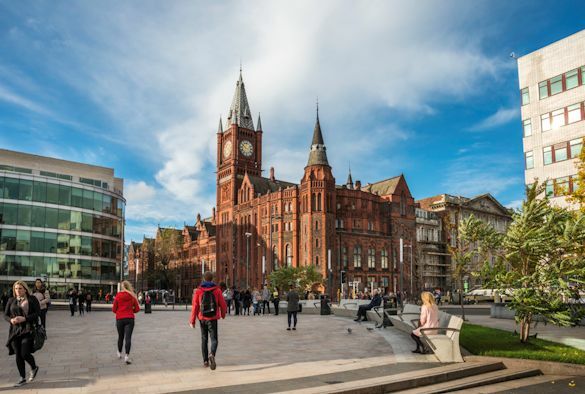 The University of Liverpool has reaffirmed its commitment to the Liverpool City Region by pledging to put the economy and quality of life in the local community top of its list of priorities. Liverpool joins 30 other institutions – which include many of the best-known names in higher education – in committing to produce a “Civic University Agreement” in partnership with local government and other major institutions. The report sets out how universities have the capability, opportunity and responsibility to support the places where they are based to solve some of their most pressing and major problems. These issues range from helping local business adapt to technological change, to boosting the health of local people, improving education for school pupils and adult learners, and training and developing new civic leaders in every field from politics to the arts. The University of Liverpool has a proud and long-established track record of civic engagement, which is set to be celebrated in an upcoming report. Authored by Professor Dinah Birch, Pro-Vice-Chancellor for Cultural Engagement and Professor Michael Parkinson, Associate Pro Vice Chancellor for Civic Engagement, ‘Celebrating the University of Liverpool’s contribution to the Liverpool City Region’ will demonstrate the substantial and diverse contribution made to the region’s economy, public health, employment, innovation and culture and heritage. Commenting on the Civic University Agreement Lord Kerslake said: “The deep economic and social changes that are happening in Britain today have, alongside Brexit, made the civic role of universities even more vital to the places they are located in.